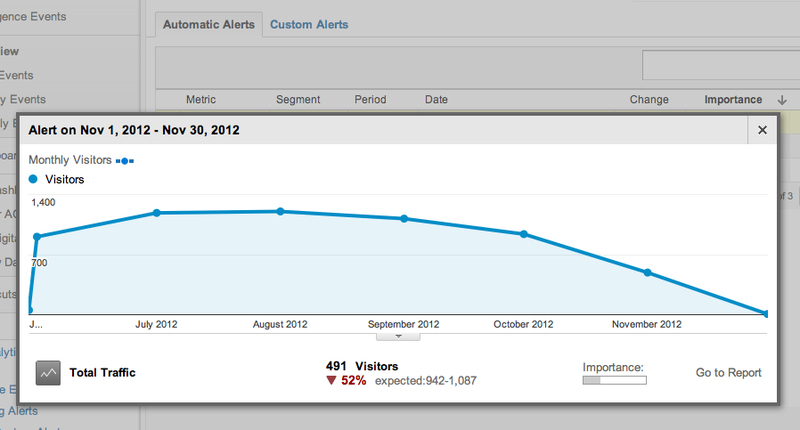 Just a reminder… Google Analytics is not just a reporting and analytics tool. It can also monitor your website and provide detection for site anomalies. Here’s a great video from Google that explains how you can customize the Intelligence Events. The customization can be very advanced or simple. Nice!